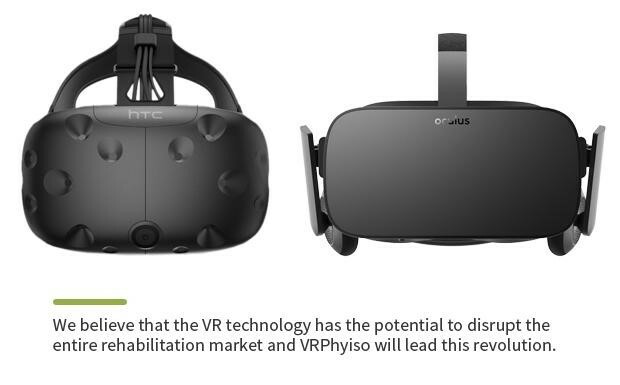 VRHealth is the first company in the world to develop a rehabilitation platform in virtual reality. VRHealth uses VR games, movies and 360-degrees workouts to gamify physical therapy exercises in order to make them enjoyable and engaging. We’re leveraging cutting edge VR technology to monitor patients’ kinematics through their prescribed exercises, and also provide real-time feedback and guidance. Additionally, the VRphysio platform utilize machine learning algorithm to provide adaptive workouts and enhanced recovery outcomes. VRHealth provides a full-body VR experience both in clinics and at home, allowing patients to recover from the comfort of their own home. One of the major problems facing the physical rehabilitation industry is gaining access to physical therapy treatments. A growing number of patients are getting less hands-on treatment for their ailments, as a result of the “efficiency savings” practice within national healthcare systems. This lack of availability and access leads to more outpatient care, which creates an entirely new problem: low compliance to home treatments. Often, patients don’t adhere to their physical therapy programs at home, a habit that decreases the overall effectiveness of rehabilitation and increases treatment costs in the long run. While standard physical therapy protocols themselves may be effective when practiced correctly, the current indicators in the field are poorly developed, making it impossible to evaluate and capture improvement data among patients. This lack of advanced analytics, a basic standard in other areas of the medical field, unable rehabilitation patients and their doctors from truly evaluating the effectiveness of certain treatments and from making the necessary adjustments accordingly. Not only current physical therapy exercises are hard to access and difficult to monitor, but they’re simply not fun. Recovering patients (and the doctors who work tirelessly to treat them) deserve an effective, efficient and entertaining solution. Luckily for them, it’s finally here. 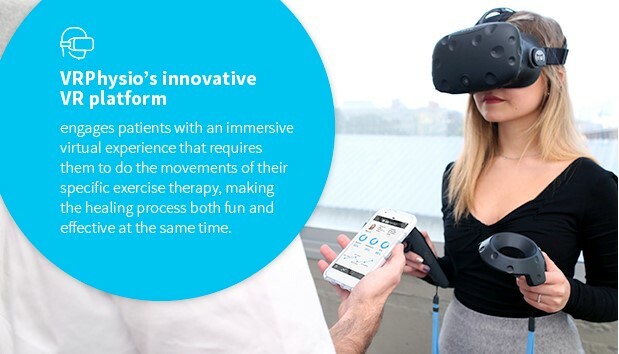 At VRHealth, we aren’t trying to reinvent physical therapy protocols — we’re simply plugging advanced technology into the process in order to make the rehabilitation process more intuitive, accessible, effective, and fun for patients and their therapists. Simultaneously, while patients are engaging with their own personalized rehabilitation program, VRHealth’s cutting-edge medical software is collecting real-time data that will improve the overall physical therapy process for every user. Personalized, gamified, more efficient and accessible than ever, VRHealth is disrupting the rehabilitation space, one exercise at a time. VRHealth isn’t just a fun virtual reality game or a systematic way of collecting data. It’s a complete Virtual Reality Physical Therapy platform that takes the antiquated model of rehabilitation and innovates it to the modern world. VRHealth transforms any VR headset in the market today into a VR medical device (FDA Class II device) that can monitor a patient’s health while tracking and capturing data throughout their physical therapy exercises. Not only does this piece of technology have the power to transport patients to another world, but it also has the ability to track and improve their health at the same time. For years, doctors and physical therapists have struggled to find an appropriate way to monitor the effectiveness of rehabilitation protocols, a problem that has made it virtually impossible to make improvements in this medical field. By quantifying the progress of physical therapy for the first time ever, VRHealth is improving physical therapy not just for individual patients, but for the entire rehabilitation process as a whole. VRHealth’s immersive Virtual Reality platform takes patients out of their home/rehabilitation facility and sets them in a virtual surrounding, completely different from reality. By turning rehabilitation into a game rather than a dreaded exercise, physical therapy becomes more effective, but also more enjoyable for patients. The issue with rehabilitation is not the physical therapy exercises themselves, but rather how they are performed and evaluated. The VRHealth platform’s advanced machine learning algorithm helps to provide a real-time data analysis that can finally help doctors and therapists effectively assess and modify patients’ training sessions. 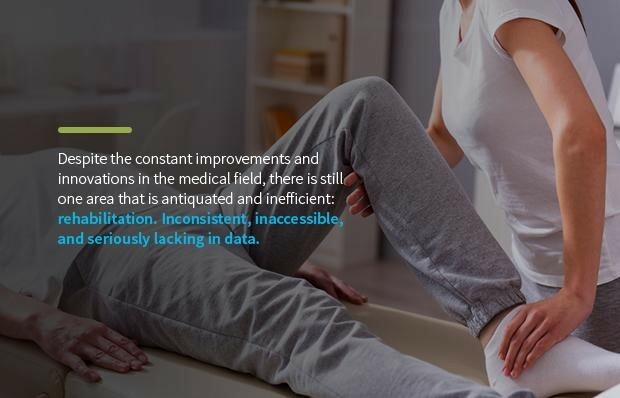 Not only does this innovative system improve the efficiency of physical therapy exercises and programs, but its data mining tool enhances the platform’s overall performance across users. VRHealth is dedicated to creating the most innovative physical therapy solution that will disrupt and improve the rehabilitation space. We have already developed several prototypes of our headgear and we currently have a patent pending for our product’s unique neck device and body sensors. In addition to all of the work that we put into completing VRHealth’s hardware, we have developed three cervical Virtual Reality Physical Therapy experiences for our platform, as well as a Cervical range of motion measurement application based on Unity. At the same time we are also partnering with Nvidia in order to develop a full upper body software for the VRHealth platform. VRHealth has begun Beta testing in Israel, and continues to carry usability tests in order to assure that we release the best product to the market when we launch in the U.S. in Q2 2017. In addition to our own usability testing, VRHealth is due to conduct a clinical study to compare the effectiveness of VRP and conservative care on physical rehabilitation. VRHealth is dedicated to launch the very best product, which is why we’ve teamed up with Microsoft and AARP in separate joint ventures targeted to accelerate our launch with MassChallenge, a no equity and not-for-profit organization that helps startups break into its relevant industry. We are the only foreign startup to participate in PULSE@MassChallenge Boston 2017, the best digital health accelerator in the world. In addition to our partnership with MassChallenge, VRPhysio has also received a grant in support of our platform from the Office of the Chief Scientist of Israel (“OCS”). This exceptional non-dilutive grant is proof that the OCS supports and vouches for our company’s innovative solution. The VRHealth team isn’t just creating one physical therapy product, but rather developing a whole body Virtual Reality training software using innovative data analysis algorithms in real time. Our first launched product will initially include neck and arms training, and eventually we will expand the VRP to an entire body workout. After serving as an F-16 Fighter Squadron Executive Officer in the Israeli Air-Force for 12 years, Eran Orr gained significant experience in the physical therapy prevention industry. He previously served as Initiator and Coordinator of the IDF Spinal Cord Damage Prevention Program designed for air crew personnel. 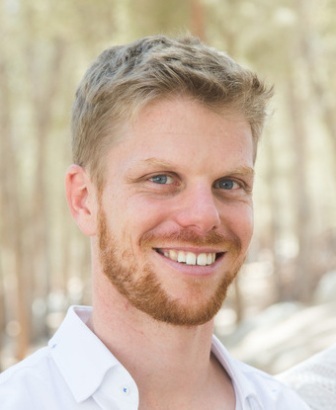 Eran earned a BA in Business Management, Government, and Politics and an MBA in Entrepreneurship and Innovation Business Administration from Ben Gurion University. 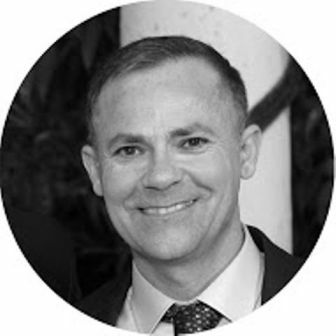 Aryeh has 26 years of experience as a physical therapist, including 8 years as Lt. Col. and Chief medical officer Physical Therapy consultant at the IDF Medical Corps. After retirement from the IDF, Aryeh built a private physical therapy clinic focused in pain management. Arie also served as a physical therapist at Clalit Health Services. 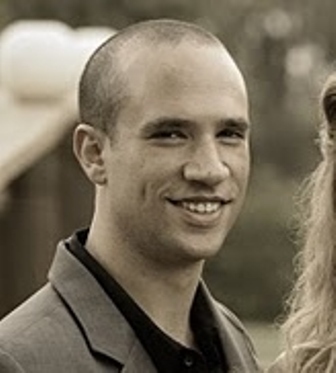 Aryeh holds a MHA in Healthcare Administration and a B.PT in Physical Therapy from Ben Gurion University. An ex-F16 Pilot Training Commander, Yair was a part of the IDF Spinal Cord Damage Prevention Program. 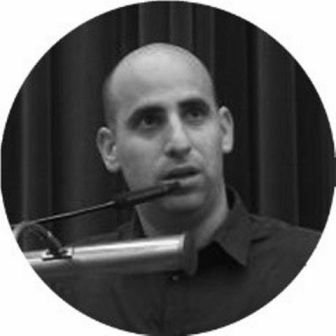 Yair earned a BA in Information Technologies Management from Ben-Gurion University as well as an MBA in Technology, Innovation, and Entrepreneurship from Tel Aviv University. As an experienced Advanced Fighter Squadron commander, Miki was elected to lead managed the integration of a new trainer jet into the Israeli Air force academy, a project that involved state, military, and industry groups from partner nations. 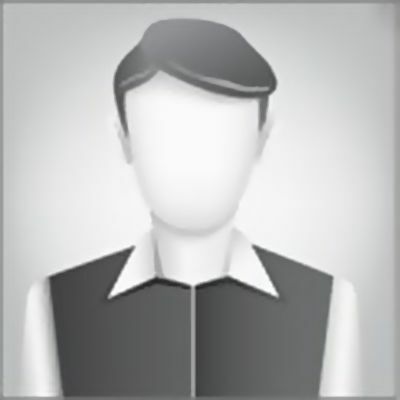 Miki earned B.Sc in Chemical Engineering from Shenkar college of Engineering, Design and Art College. Sagie is an IAF chief commander award winner for innovation and excellence in product development, earned while founding a cyber & technology branch in the IAF. 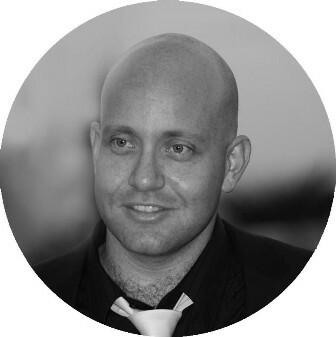 He has earned an MBA in Entrepreneurship and Social Leadership as well as a BA in Information Tech, both from Ben Gurion University. 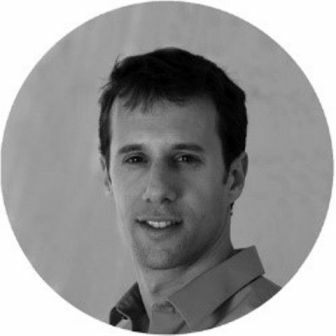 Tal is an experienced product manager with more than 7 years of expertise in the development of advanced technologies, from characterization to the implementation phase, in collaboration with leading industries. Tal earned a BA in Information Technology Management and a division in Aeronautics and Technology from Ben-Gurion University and an MBA specializing in Finance and Risk Management from IDC. 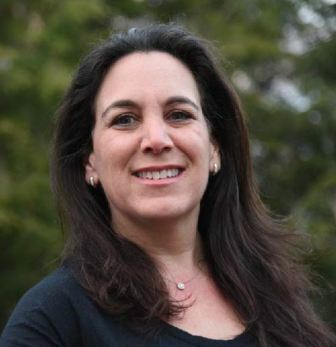 Talia has over 20 years of experience as a physical therapist and has served as a clinic director at Clalit Health Services, Israel‘s biggest health organization. Talia has also served as a PT clinical instructor and a lecturer and has experience in orthopedics, sports and group therapy. 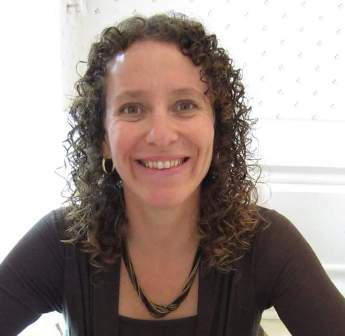 Talia was a member of an advisory board at Clalit Health Services for clinical trials in PT. Talia earned her B.PT and M.Sc.PT in Physical Therapy at Tel Aviv University. A skilled executive with 10 years of experience in leadership roles in healthcare marketing & customer experience. Maya served as board member & regional director at Clalit Health Services, Israel’s biggest health organization. Specializes in strategic planning, marketing & communications, customer experience, project management & recruitment. Maya earned an MA in Public Policy from The Hebrew University of Jerusalem.